The first full week of 2014 is ending, and can I just say THANK YOU! :) A nasty virus moved through my house over Christmas break, hitting my husband and 2 boys, but it so kindly held off until this week for me. Wasn't that nice of it? NOT Thank goodness for Dayquil, it has been my best friend the last few days! Stamping makes me feel better also, and this Friday Mashup challenge from Holly is a nice one. She wants use to create a birthday project, and to also use twine on it. Observant folks may notice that my layout looks pretty familiar....if you look on page 15 of the SU catalog you'll see where my layout come from! I changed up the color of the cardstock and DSP and used twine along the sides instead of stitching. Nice and easy card! 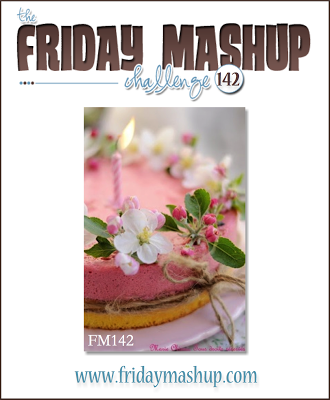 I hope you'll come by The Friday Mashup and play along with us! 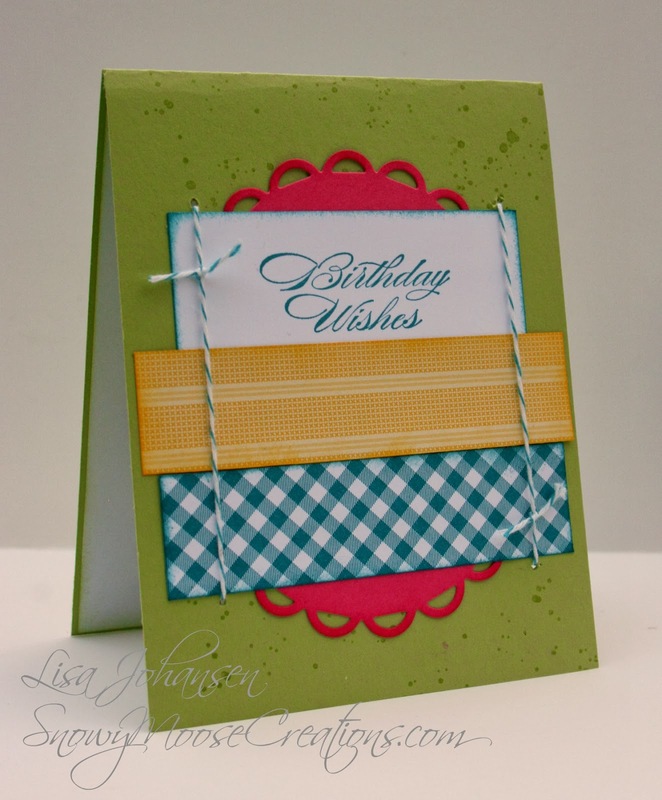 Fun card - love the string treatment! Your card is so bold and bright and cheerful - sure to bring someone an ear to ear smile!